Stunning single family home with executive finishes. This three bedroom home nestled on a spacious lot with a beautiful tree line in the rear yard offers nine foot ceilings, gleaming hardwoods throughout, spectacular hardwood staircase. Ceramic in all wet areas. Superior kitchen cabinetry. Open concept kitchen, dining and living room area. Looking for a heritage style property? Dont miss out on this beautiful single family home with a detached wired garage, lovely private court yard, and paved driveway. This home is perfect for entertaining, with beautiful oak cupboards in the kitchen, a large island with cooktop range, built in oven, microwave, dishwasher and space for eating-in. This is a Corner One Acre Lot! What a beautiful area to build your dream home! This One Corner Acre building lot is ready for you to start construction. Killick Drive is located off St. Francis Road in Logy Bay, Middle Cove, Outer Cove. What a beautiful area to build your dream home! 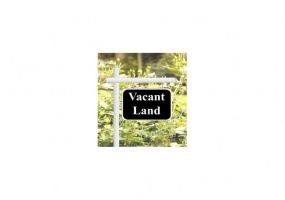 This One Acre building lot is ready for you to start construction. Killick Drive is located off St. Francis Road in Logy Bay, Middle Cove, Outer Cove. This gorgeous home is built and ready to move into and is perfect for the first time home buyer that wants it all! Quality built, beautiful finishes and amazing location. The bright and open living area creates a welcoming feel on the main floor, upstairs there is a large master with ensuite and walk-in closet plus two additional bedrooms and main bathroom. Quality built, beautiful finishes and amazing location, this is a great product with a price that is hard to beat! This open concept home features 3 bedrooms, including the master which has a walk-in closet and ensuite. There is also a power room on the main floor for added convenience. UNOBSTRUCTED OCEAN VIEW land acerage on the scenic southern shore in Bay Bulls. Build your dream home over looking Bay Bulls Harbour and watch the whales frolic and play. Boat tours and oil rigs visit frequently. You can watch the local fishing boats leave to start their day. STUNNING MILLION DOLLAR OCEAN VIEW properties located in Scenic Conception Bay North. There are three separate units available here. A home and 2 efficiency units. This was once Kaputo Rock B&B. This property has everything you could want and need for year round living or a summer getaway retreat. Smell the fresh ocean breeze the minute you walk out side the doors.